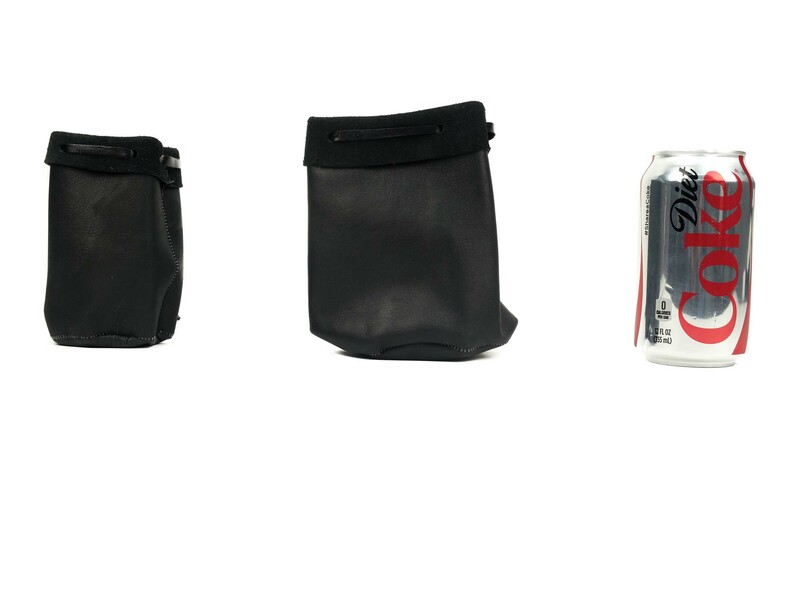 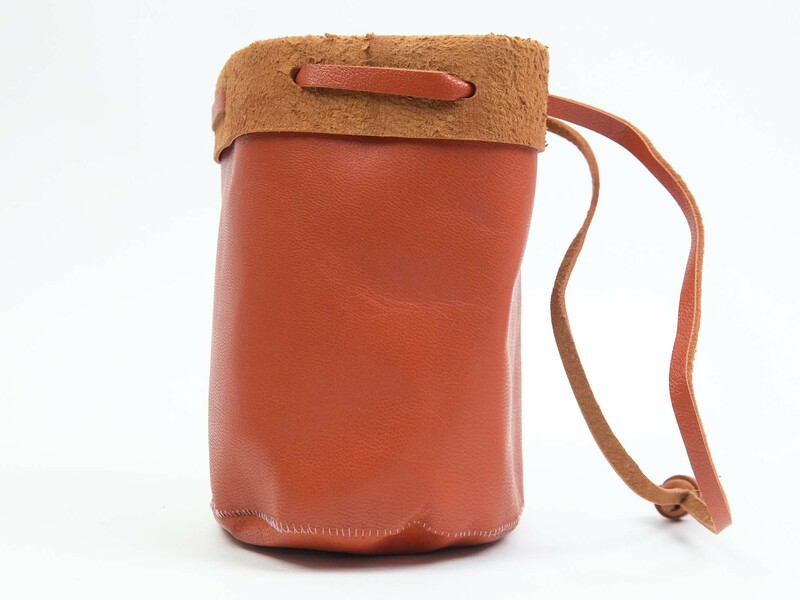 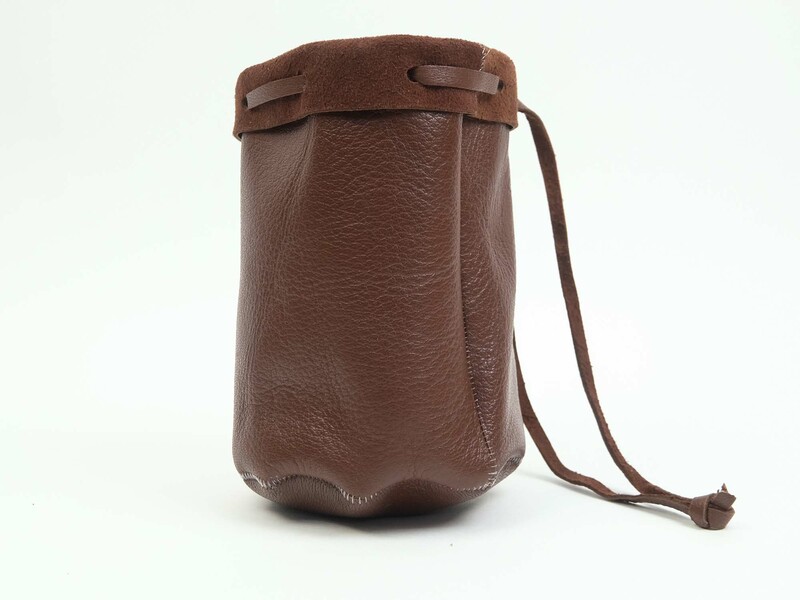 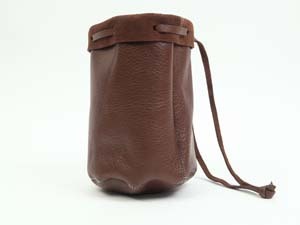 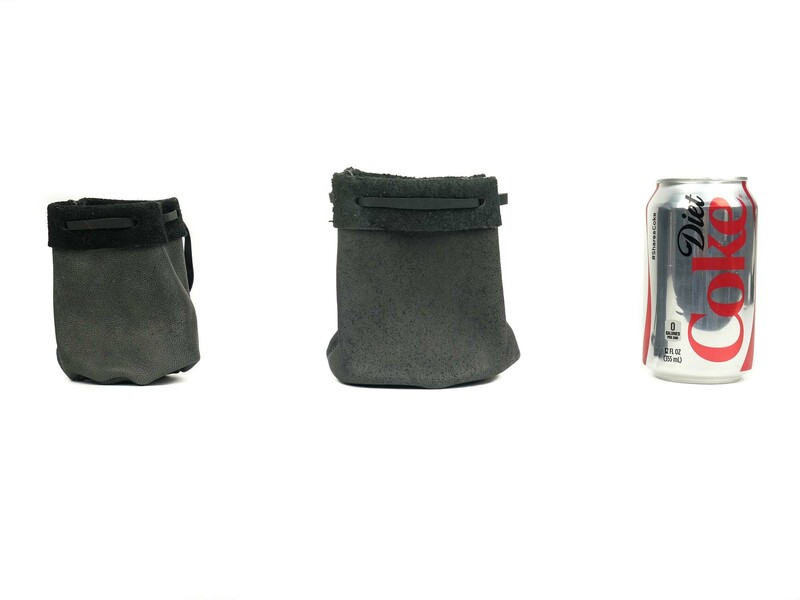 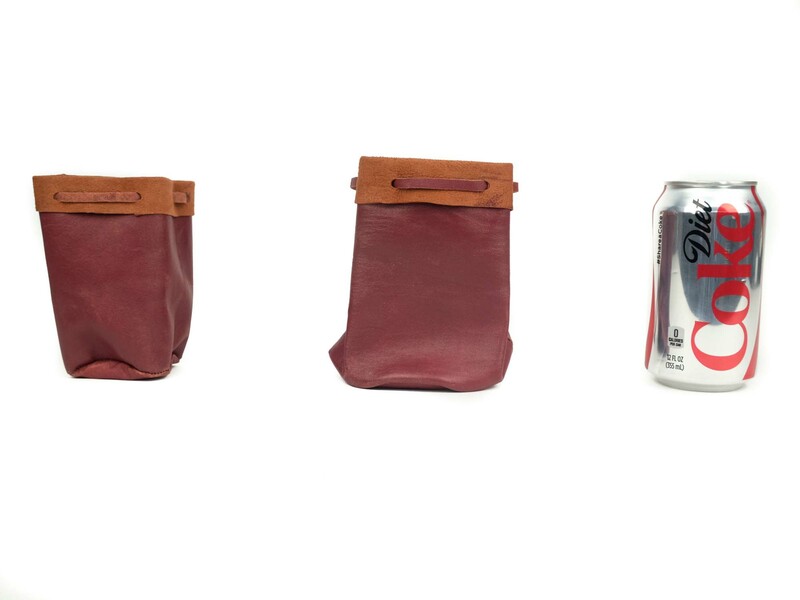 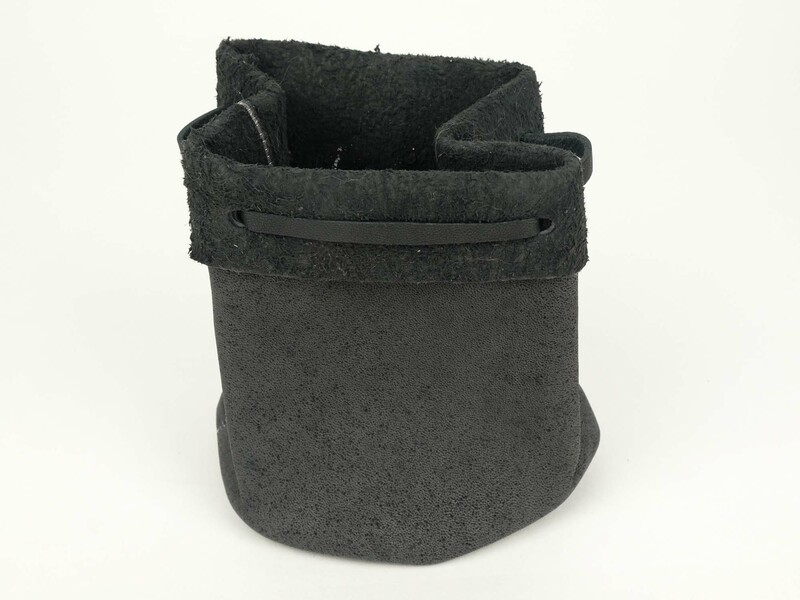 These bullet bags are made from dyed sheep leather and comes in various colors and two sizes. 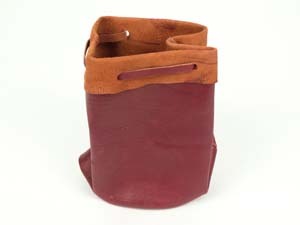 They can be cinched by a leather strip. 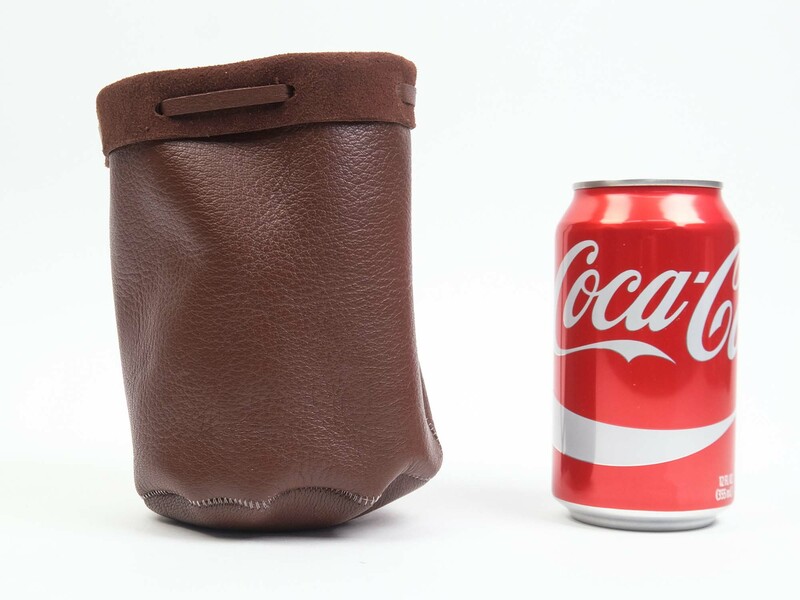 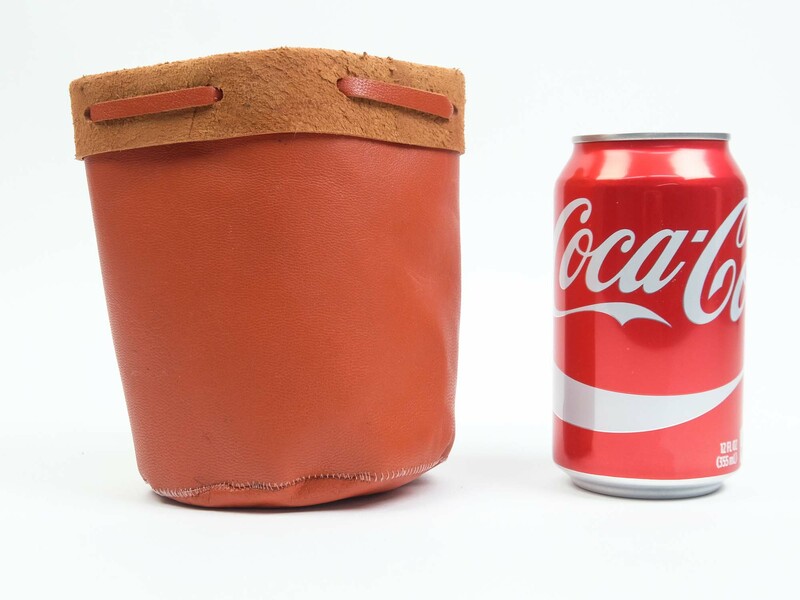 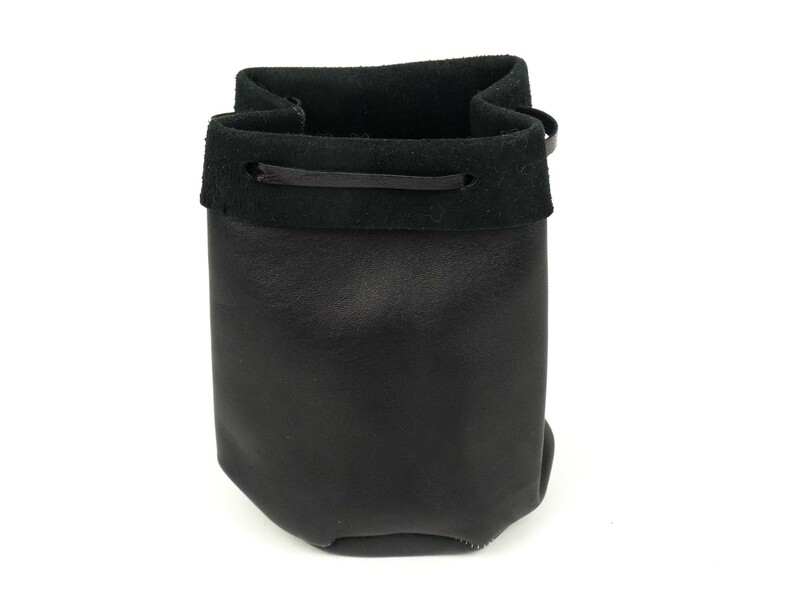 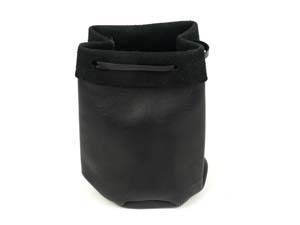 The small bags are measured to be 4" to 4.25" tall with a 3" diameter base, and the large bags are measured to be 5" to 5.5" tall with a 4" diameter base.